To have a comfortable stay on your trip to Manali, there are number of hotels and resorts in Manali and and Apple country resort manali is one such being. Apple Country resort is located at the end point in the Log Hut area. This resort is beautifully designed and impresses everyone. The organized interiors and fully furnished rooms offer a clean feel to the resort. To get pleasure from Manali’s exquisiteness, it is a perfect option to stay. This resort offers a valauable services to its customers. The rooms of Apple country resort manali are well furnished and spacious. This resort is surrounded by landscape of lush greenery and enchanting mountains. The Apple country resort manali offers all modern amenities like a lawn, Ayurvedic spa, gymnasium, travel desk, laundary service, discotheque, sauna bath and many more. 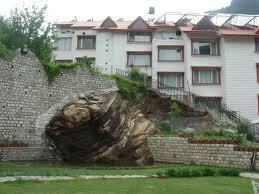 The famous attractions of Manali like Hadimba and Manu temple. The Club House and Tibetan monasteries are quite nearby to this resort.